As Alzheimer's disease progresses, it kills brain cells mainly in the hippocampus and cortex, leading to impairments in "neuroplasticity," the mechanism that affects learning, memory, and thinking. Targeting these areas of the brain, scientists hope to stop or slow the decline in brain plasticity, providing a novel way to treat Alzheimer's. Groundbreaking new research has discovered a new way to preserve the flexibility and resilience of the brain. The study, led by Tel Aviv University's Prof. Illana Gozes and published in Molecular Psychiatry, reveals a nerve cell protective molecular target that is essential for brain plasticity. According to Prof. Gozes, "This discovery offers the world a new target for drug design and an understanding of mechanisms of cognitive enhancement." Prof. Gozes is the incumbent of the Lily and Avraham Gildor Chair for the Investigation of Growth Factors and director of the Adams Super Center for Brain Studies at the Sackler Faculty of Medicine and a member of TAU's Sagol School of Neuroscience. Also contributing to the study were Dr. Saar Oz, Oxana Kapitansky, Yanina Ivashco-Pachima, Anna Malishkevich, Dr. Joel Hirsch, Dr. Rina Rosin-Arbersfeld, and their students, all from TAU. TAU staff scientists Dr. Eliezer Gildai and Dr. Leonid Mittelman provided the state-of-the-art molecular cloning and cellular protein imaging necessary for the study. The new finding is based on Prof. Gozes' discovery of NAP, a snippet of a protein essential for brain formation (activity-dependent neuroprotective protein [ADNP]). 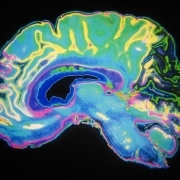 As a result of this discovery, a drug candidate that showed efficacy in mild cognitive impairment patients, a precursor to Alzheimer's disease, is being developed. NAP protects the brain by stabilizing microtubules — tiny cellular cylinders that provide "railways and scaffolding systems" to move biological material within cells and provide a cellular skeleton. 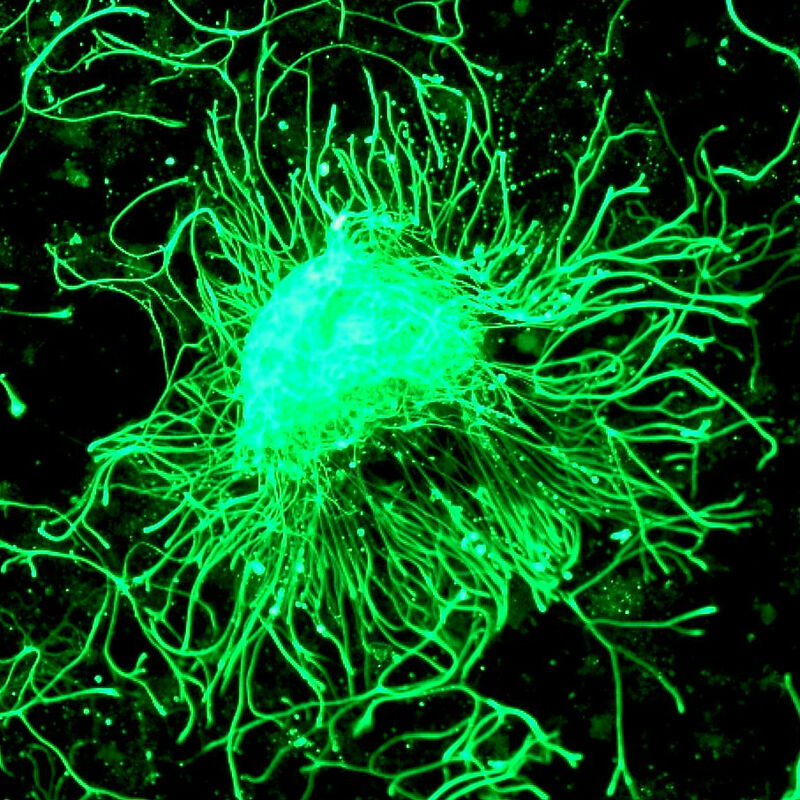 Microtubules are of particular importance to nerve cells, which have long processes and would otherwise collapse. In neurodegenerative diseases like Alzheimer's, the microtubule network falls apart, hindering cellular communication and cognitive function. 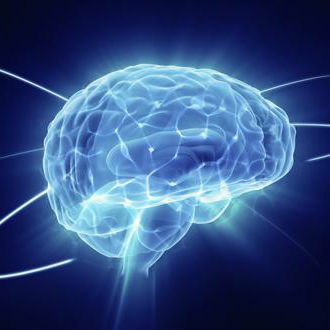 "Clinical studies have shown that Davunetide (NAP) protects memory in patients suffering from mild cognitive impairment preceding Alzheimer's disease," said Prof. Gozes. "While the mechanism was understood in broad terms, the precise molecular target remained a mystery for years. Now, in light of our new research, we know why and we know how to proceed." The breakthrough was the discovery of the mechanism promoting microtubule growth at the tips of the tubes ("rails"). The researchers found that the NAP structure allows it to bind to the tip of the growing microtubule, the emerging "railway," through specific microtubule end-binding proteins, which adhere to microtubules a bit like locomotors to provide for growth and forward movement, while the other end of the microtubule may to be disintegrating. These growing tips enlist regulatory proteins that are essential for providing plasticity at the nerve cell connection points, the synapses. "We have now revealed that ADNP through its NAP motif binds the microtubule end binding proteins and enhances nerve cell plasticity, providing for brain resilience. We then discovered that NAP further enhances ADNP microtubule binding," said Prof. Gozes. Researchers hope their discovery will help move Davunetide (NAP) and related compounds into further clinical trials, increasing the potential of future clinical use. Prof. Gozes is continuing to investigate microtubule end-binding proteins to better understand their protective properties in the brain.